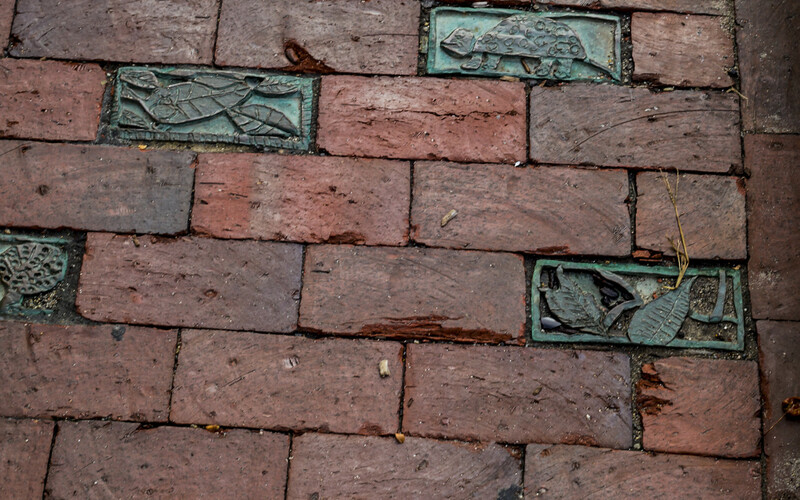 Art Underfoot was initiated as a Community Art Works project by mayor Jill Duson in 2005. 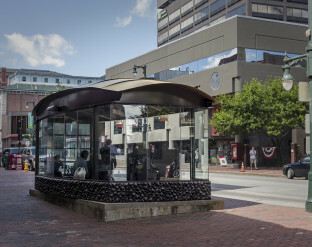 The Public Art Committee created the design theme–reflecting what might be found along the ground that is unique to Portland, such as images of leaves, flowers, acorns, shells, insects, feathers, etc. 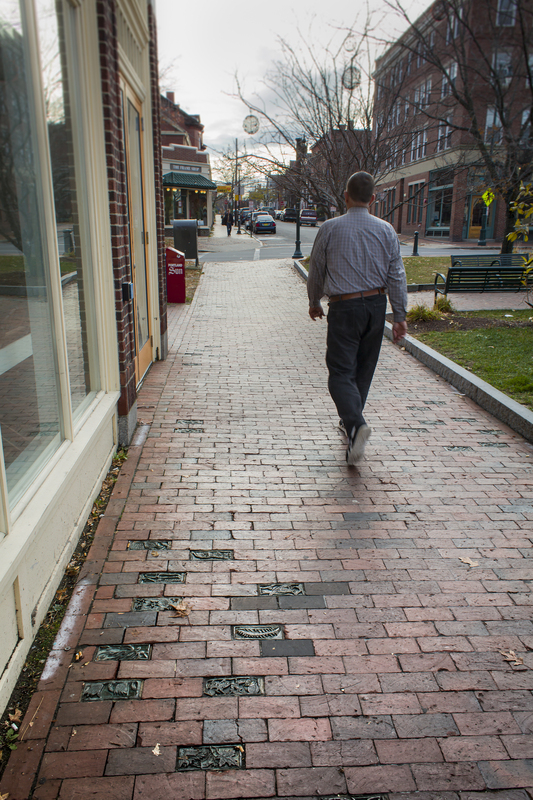 The heavily traveled Longfellow Square sidewalks were chosen as the site for this collaborative piece. . 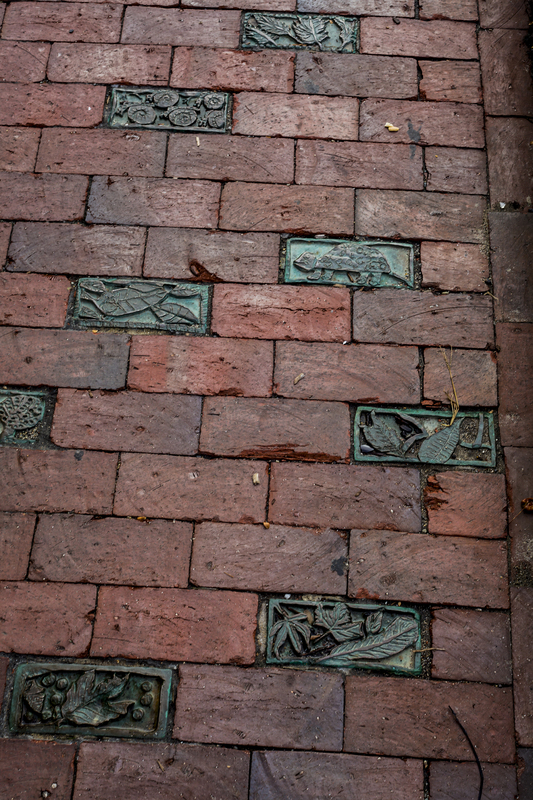 Artist Natasha Mayers worked with children at the Reiche School, teens in a hip-hop group at The Center for Cultural Exchange; members of the Portland Coalition and Amistad Center, staff and clients of Portland West, and even some City Council members to make one hundred and twenty five clay tiles. Patrick O’Brien, a student at MECA, under the guidance of teacher Anthony Tafuri, then cast them in bronze. 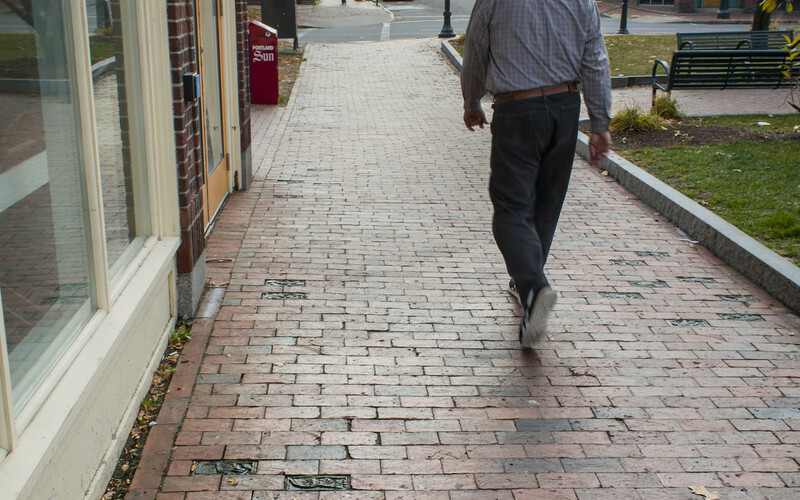 The City’s Public Works Department installed the bronze tiles in the Longfellow Square sidewalks in October 2006. 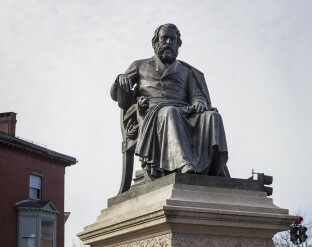 The Portland Public Art Committee’s Community Art Works program encourages collaborations between artists and community members to create permanent public art in the neighborhoods of Portland that express the memory, values, traditions, customs, or aspirations of community members. Natasha Mayers, artist, facilitator. Patrick O’Brien and Anthony Tafuri, bronze casters.